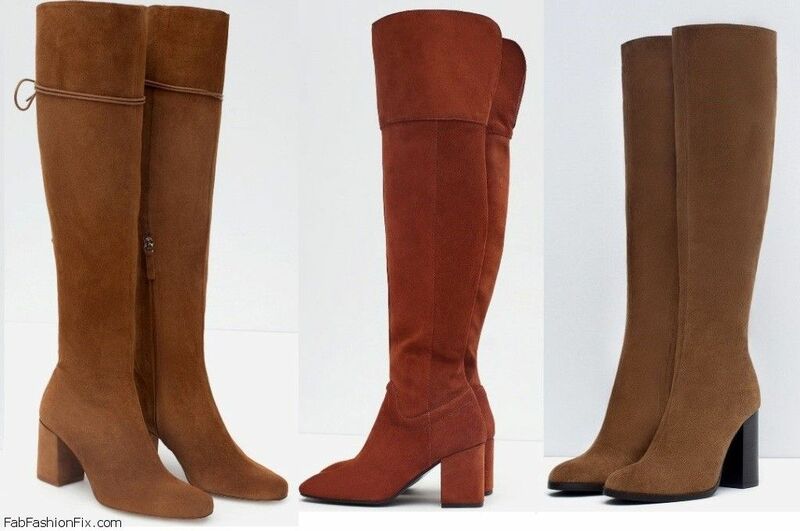 Just in time for the windy and rainy autumn days, Spanish high-street brand ZARA brings their new collection of high and elegant boots for fall/winter 2015-16 season. 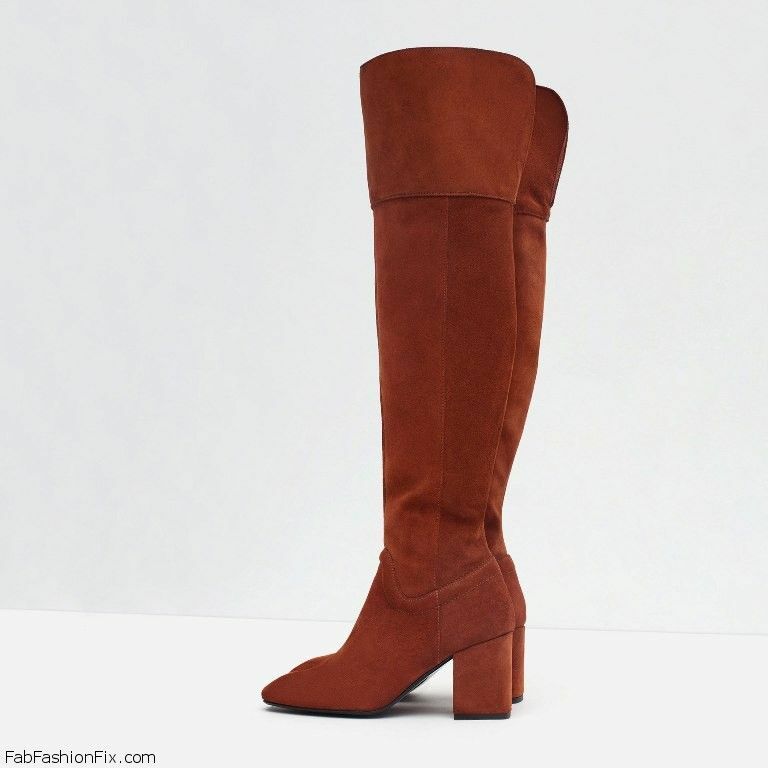 As always, following the biggest fashion trends from the runways, ZARA brings wide range of stylish boots inspired by the 1960-s and 1970-s style which resulted in details like tassels and fringes. This collection has something for every taste – from over-the-knee suede boots to tall riding boots for everyday casual style. The rich color palette brings classical colors like black and gray, all shades of brown and also the particularly popular boots in boller red color. 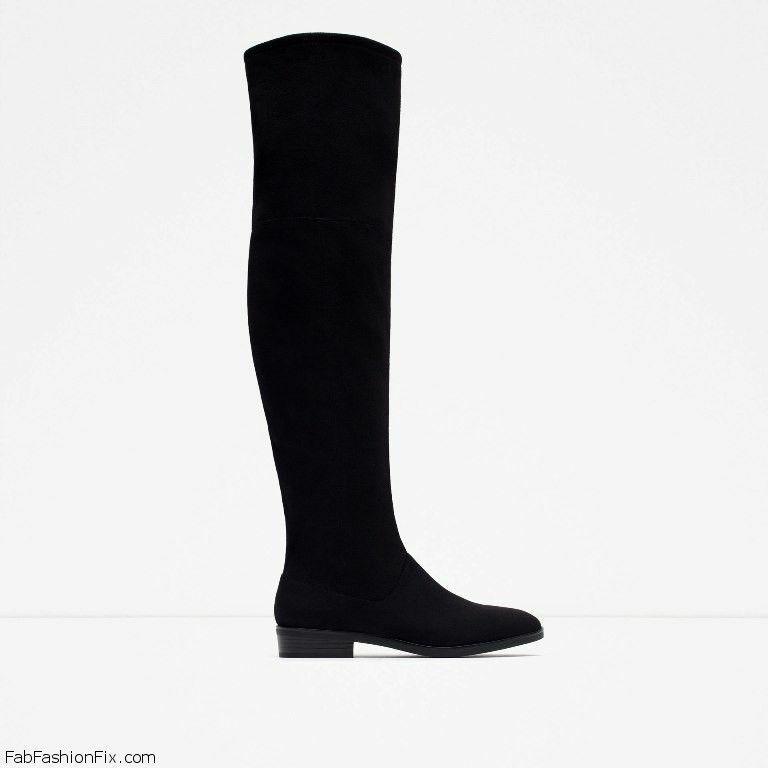 Zara soft flat over-the-knee boots (59,95 EUR), with round toe and side zip closure. Heel height of 3 cm. 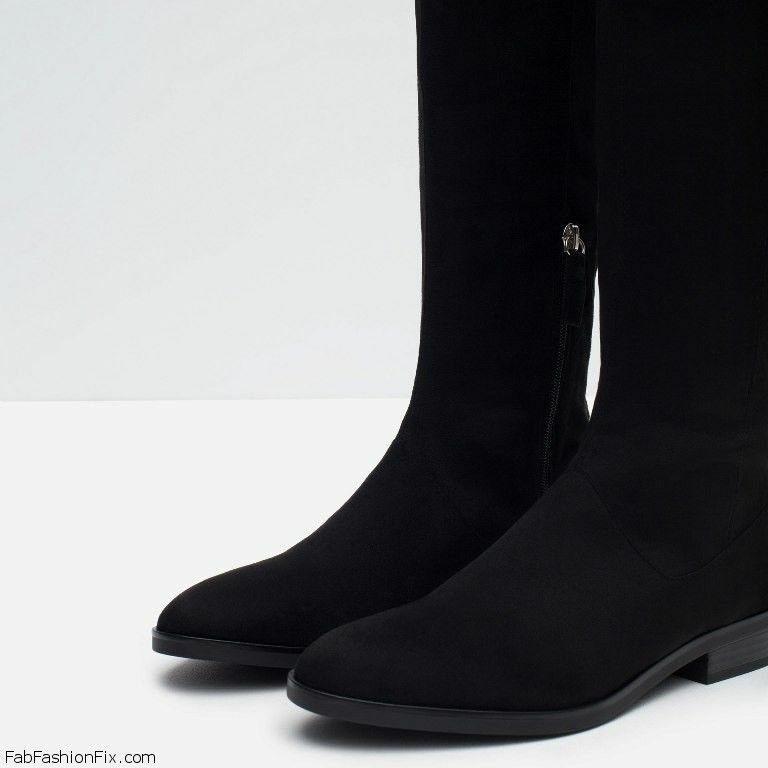 Zara combined boots (49,95 EUR). 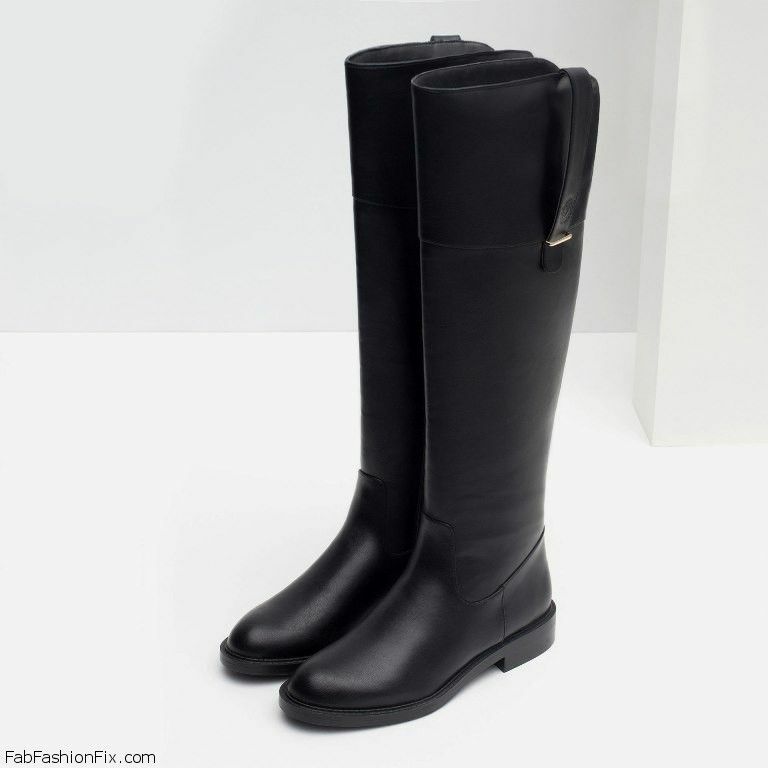 Flat black boots with combined materials. Pull tab with metallic appliqué. Heel height of 3 cm. 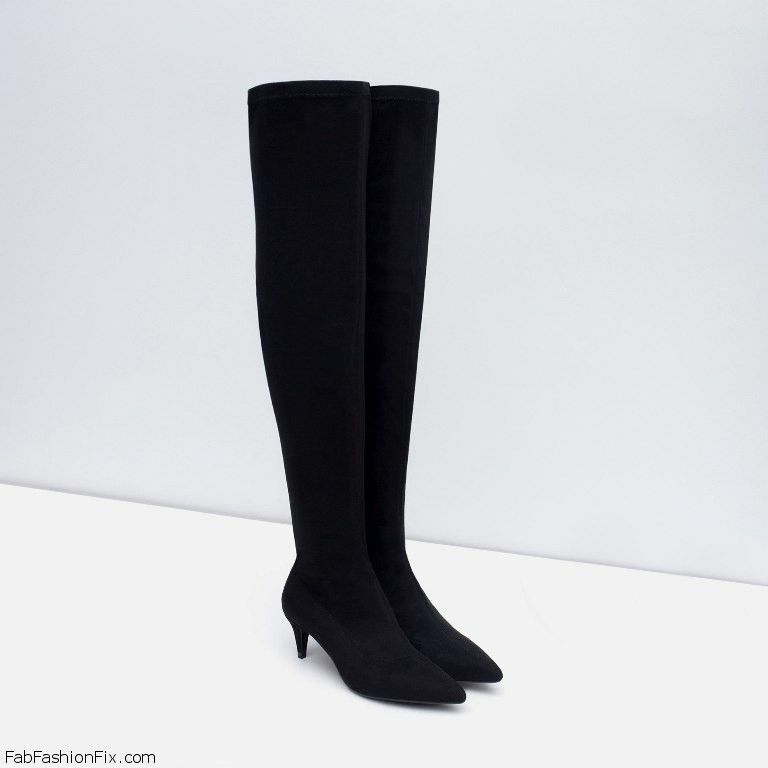 Zara over-the-knee kitten heel boots (59,95 EUR). 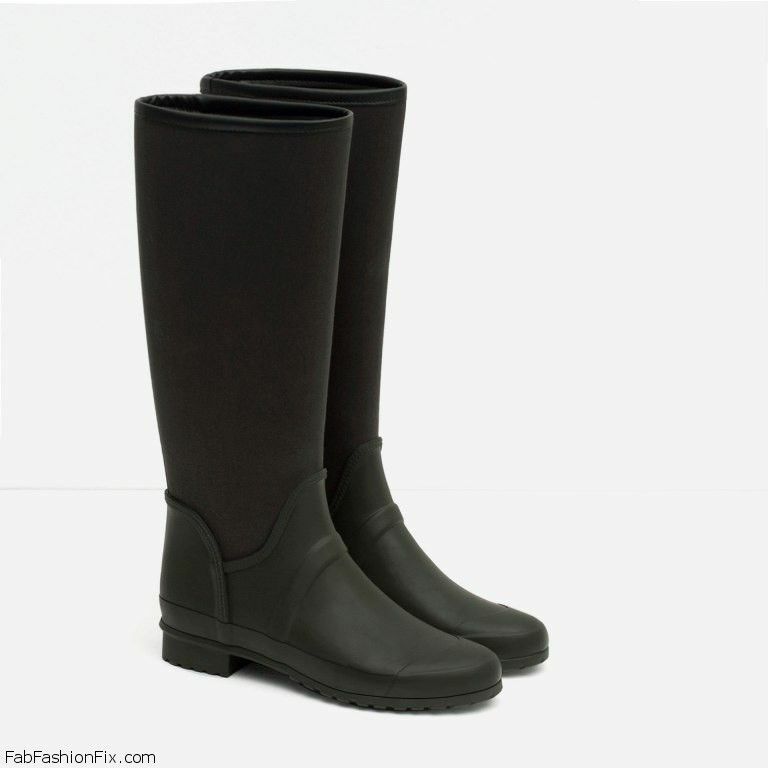 Stretch leg goes to over the knees, top-stitch detail on the instep and side zip closure. Heel height of 6,3 cm. 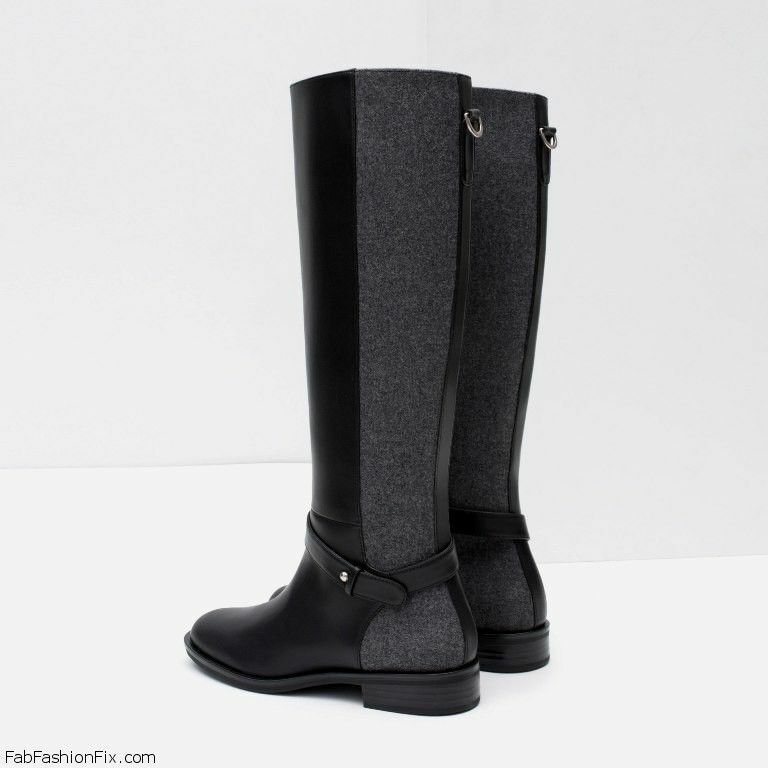 Zara combination wellies (25,95 EUR). 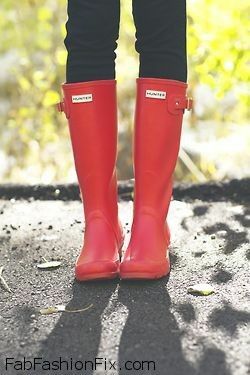 Khaki color wellies. Combined material on the shaft. Sole height 2 cm. 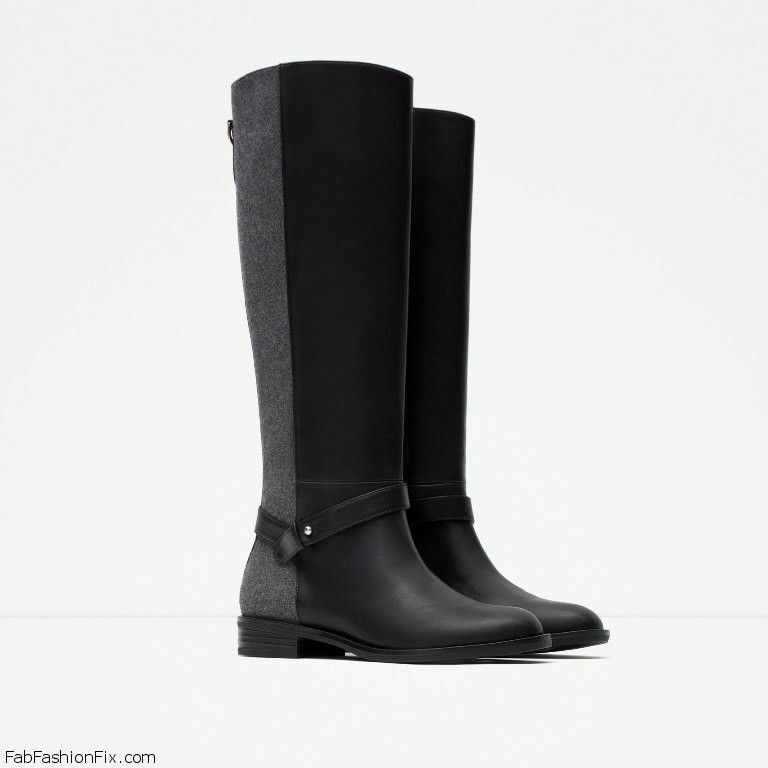 Zara flat riding boots (39,95 EUR). Slit at back and zip closure on inner side. Heel height 3.0 cm. 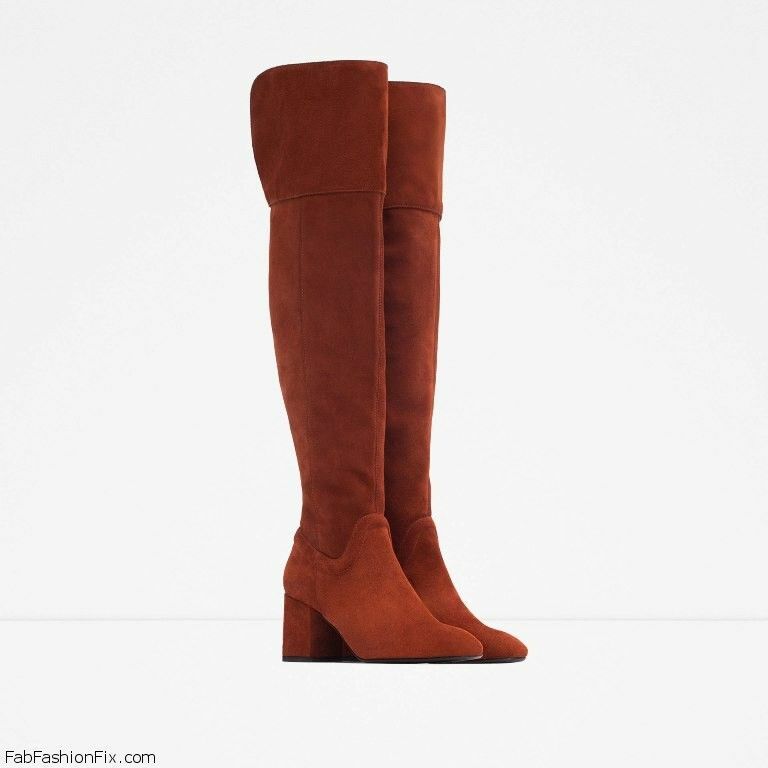 Zara over-the-knee high heel leather boots in boller red color (89,95 EUR). Zip closure on inner side, round toe and block heel. Heel height of 7.0 cm. 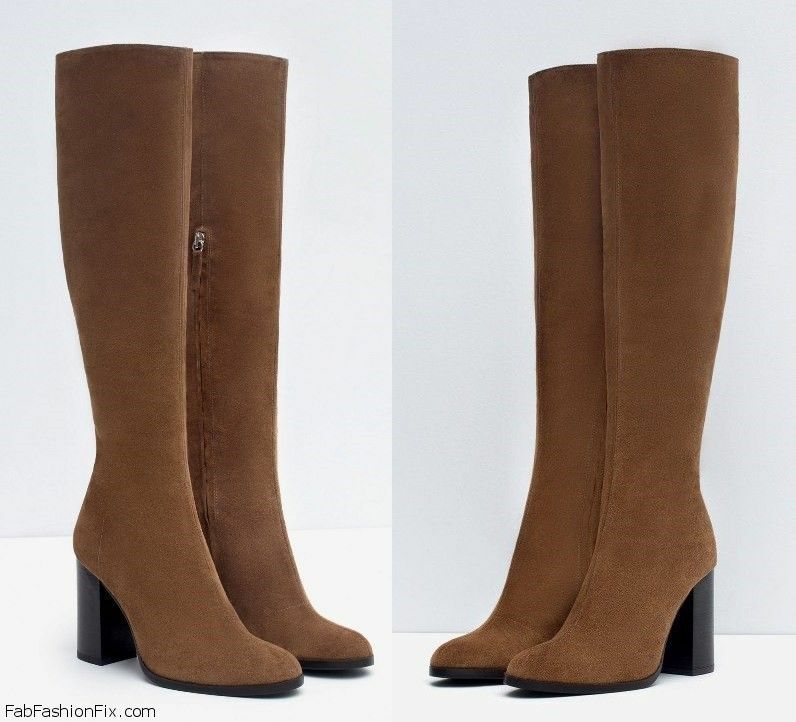 Zara taupe suede high heel boots (79,95 EUR). Side zips, with contrasting black heel and sole. Heel height of 9 cm. Zara high heel leather boots with laces (89,95 EUR). Natural color leather high heel boots with laces at the back. Rounded toe and lined square heel. Heel height of 7,5 cm. 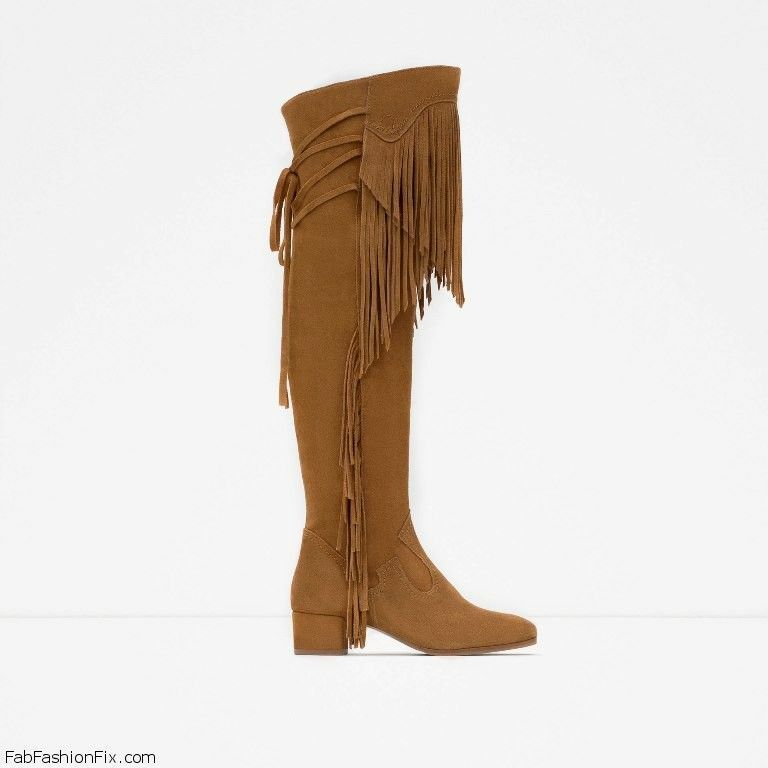 Zara high heel leather boots (99,95 EUR) with tassel detail at back of leg. Heel height of 9.3 cm. 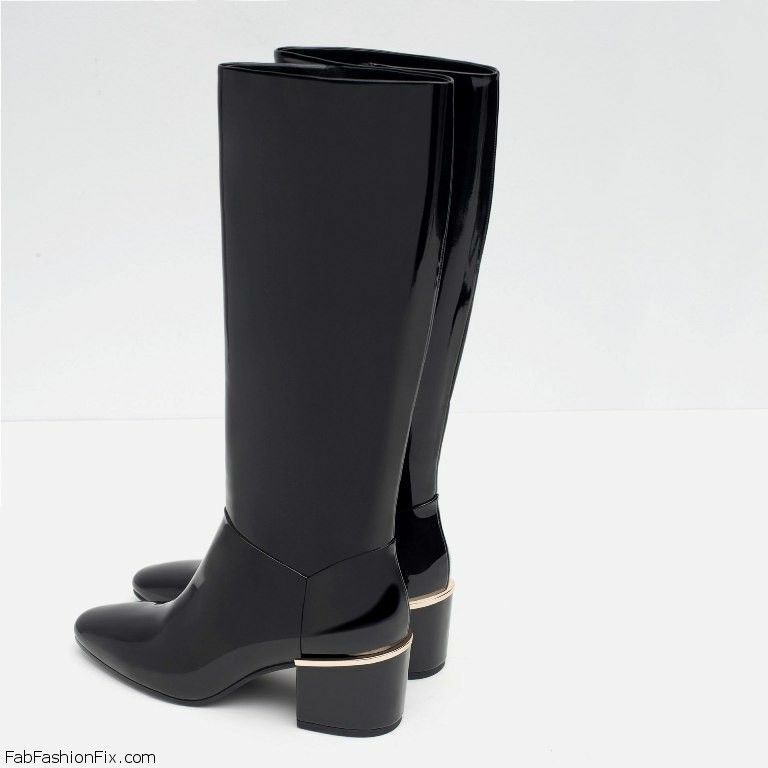 Zara over the knee high heel leather boots (159,00 EUR). High-heel boots in black suede leather. Elastic leg that goes to over the knees. Heel height of 11 cm. Zara patent finish ankle boots with heel detail (59,95 EUR). Metallic detail at back. Side zip. Block heel. Heel height of 6 cm. 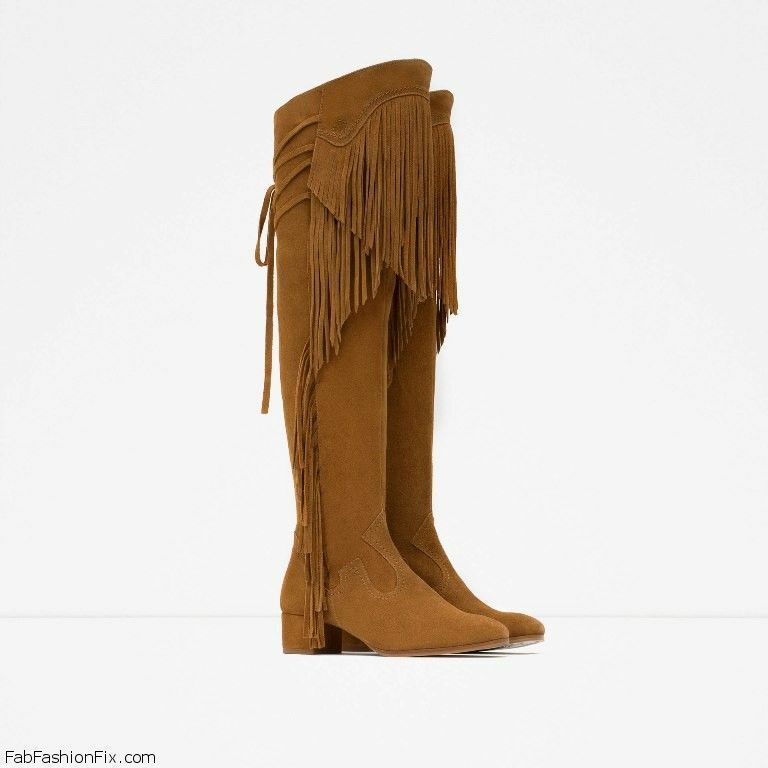 Zara leather booth with fringe (149,00 EUR). 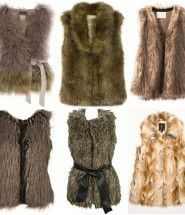 Fringe detail on the front and sides. Lace-up detail at the back. Zip fastening. Heel height of 4,5 cm.